I’ve been a busy little bunny these past few days. And I can finally present to you a finished quilt top! Admittedly, the whole thing needs a good press – especially around the edged sashing – but still, it looks good! So it’s now onto the next stage! Lying all over the floor and busting my back sticking pins into a quilt. It’s wasn’t my cup-of-tea so to speak. But to the rescue came Quilt Basting Spray! 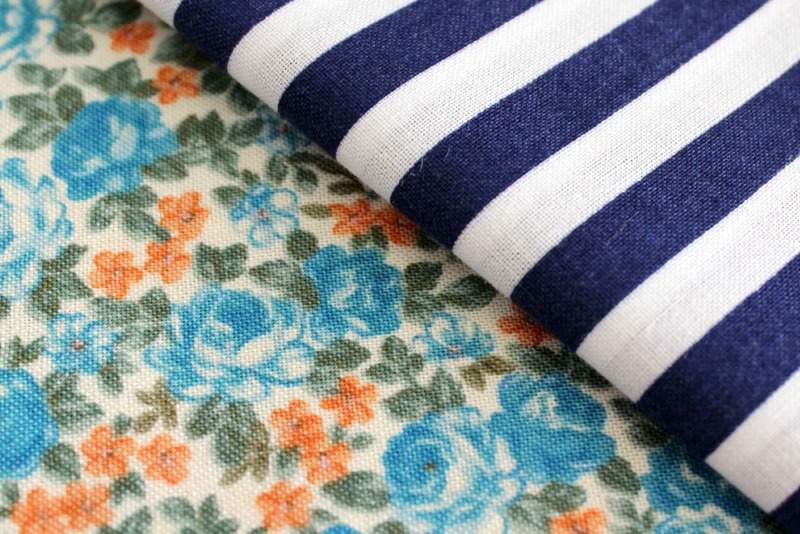 I plan to back the quilt with this floral print that I have literally a whole ton of and am desperate to use up as quickly as possible! And then bind it with the white/navy stripes. I’m also trying something new with the thread I’ll be using to stitch my quilty lines. 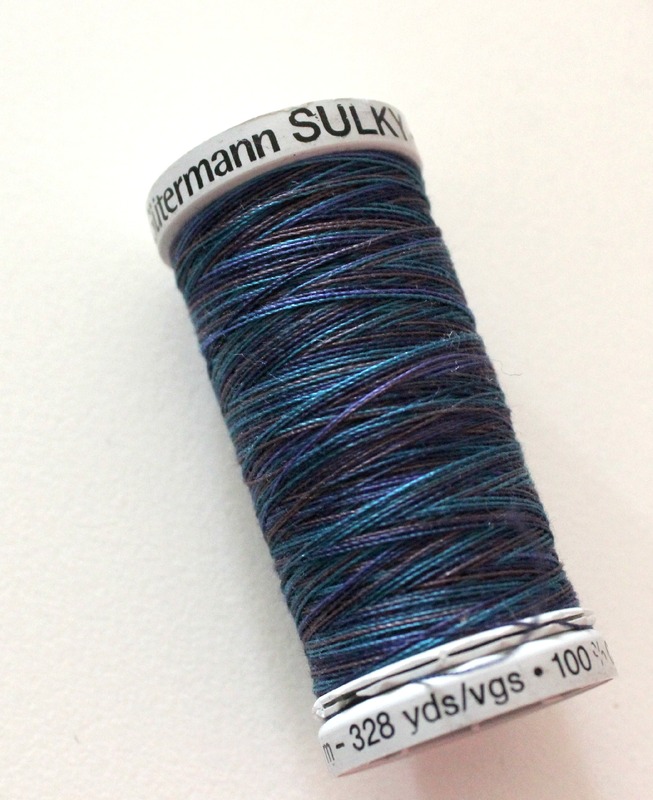 It’s a spool of Gutermann Sulky Machine Embroidery thread (100% Cotton) that has variegated shades of navy blue/turquoise/purple/maroon. I’m hoping the shades will blend well with the fabrics that make up the quilt top. Although the thread seems a little thick than usual, I have my fingers crossed that my machine can take it and feed it through evenly enough as we go along! So for the rest of the week (and no doubt the weekend too! ), I hope to be parked permanently in front of my sewing machine! I loved the colours and geometric print of the fabric and new I had to make a quilt from it. 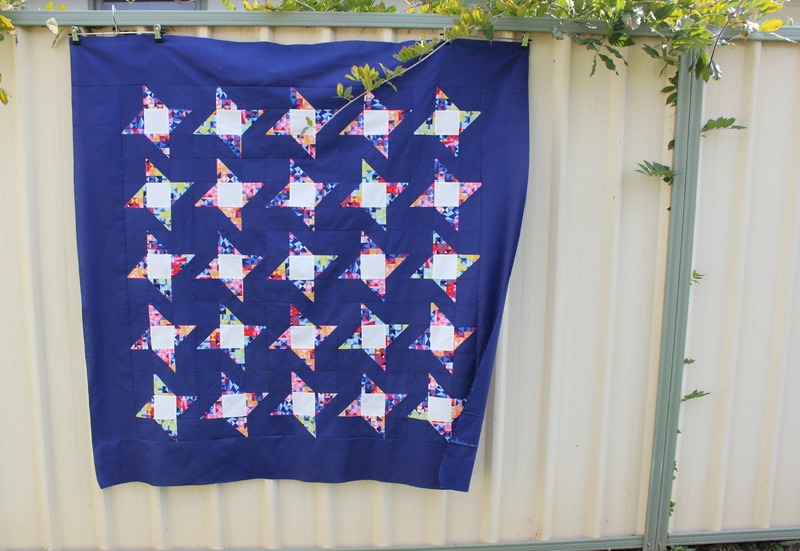 I love the fabric you’ve used for the star points. It’s really effective. 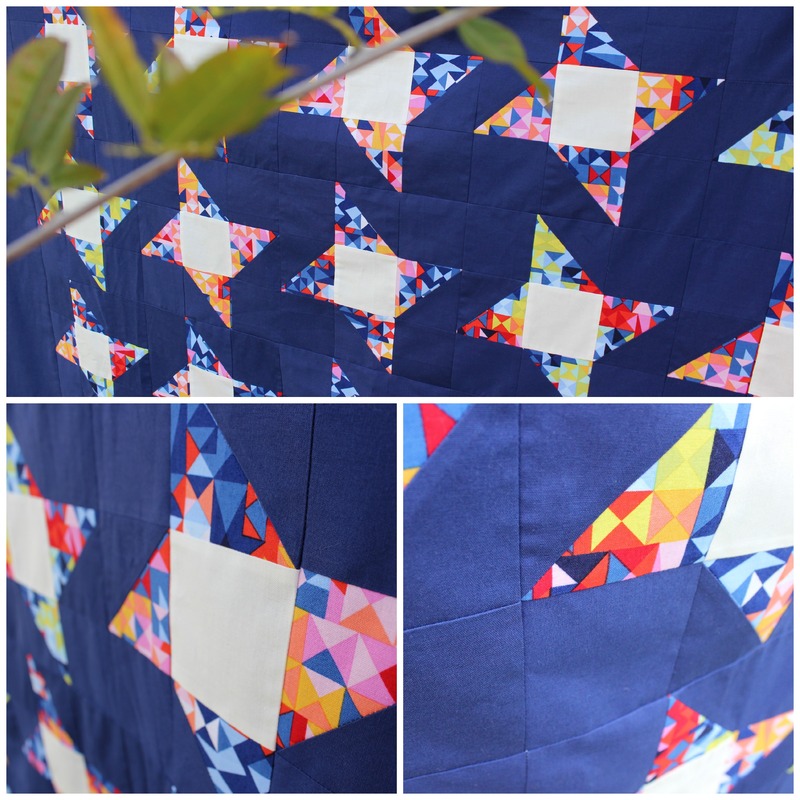 I love the colours and geometric shapes of the print – I thought it would be the perfect fit for the HSTs!